Spring is always a favourite time of year for us here on the farm. Flowering branches are blooming and our fields are bursting with special varieties of tulips, daffodils and Ranunculus. Every winter we wait patiently for this abundance and spring never disappoints. Join us for a tour of the farm, where you will have a chance to see the thousands of blooms we have growing. 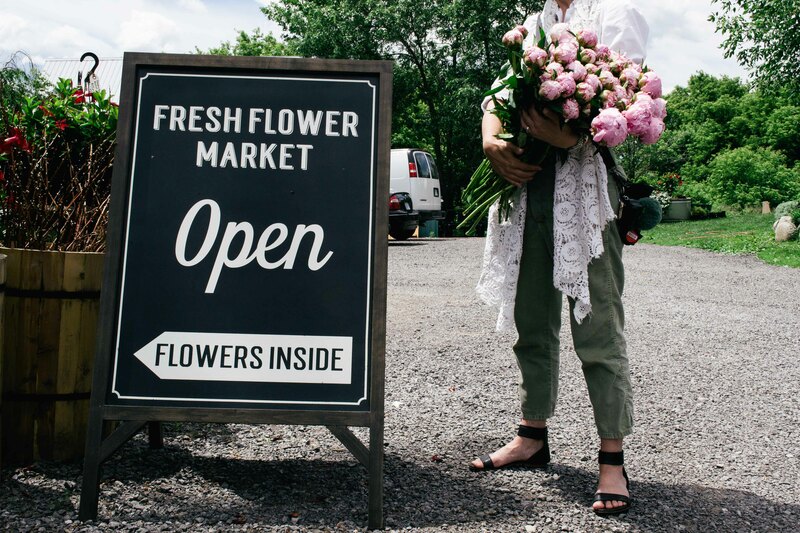 We will walk the rows of flowers, then gather together to create beautiful spring arrangements with flowers grown here on the farm. Attendees will be lead through our design techniques, then have the opportunity to create their own beautiful arrangements to take home. We will be working with tulips, Ranunculus, flowering branches and more. Included are all blooms for creating designs, locally made pottery to design our arrangements in, tools needed to create your designs and a variety of refreshments.